I remember as a kid, my mum sometimes needed to pick me up from school because of some extreme pain in my stomach. I almost got my appendix removed because the doctors thought it might come from it. Thinking back on it, I now understand much better what was the cause. Some days I just couldn’t use the toilette for number two, which kind of accumulated into severe constipation. When I have a look at my diet as a kid, it is not a very surprising to me anymore that it was sometimes such a challenge to poop. I usually started my day with a huge bowl of coco-pops. And during my school day, I had the same as every German Kid - Butterbrot mit Wurst; which is white bread with sliced sausage. For lunch, I loved Pizza or spaghetti. And in the evening we usually didn’t eat warm but had white toast with either sausage, cheese or nutella. Which gave me a total of barely 6.5 grams of fiber on some days. However, on other days my mum made me eat some fruits or veggies which brought my fiber intake up to 15-20 grams of fiber. The FDA recommendation for daily fiber intake is 28 grams. But currently, dietary fiber intake among adults in the United States is about 15 grams a day. That's about half the recommended amount. Therefore, it is no surprise that about one in three kids suffers from constipation . And I should mention here that one of the medical criteria for constipation is to have “2 or fewer defecations per week”. I am not even sure if I would have fallen under this harsh classification when I was a kid. But constipation is not only a problem in kids. Many adults suffer from it – In fact, in the US 16% of adults have constipation . And even when you don’t fall under the criteria of less than 2 bowel movements a week, I think at least temporary constipation should be classified as less than once a day, as this can already impact your quality of life. Okay before we clarify what causes constipation and what to do to treat it, let’s first understand what poop actually is – meaning what it is composed of. Poop is actually the part of food that was never really inside us. What I mean with it is that our cells never took up what eventually came out again. About 25% of the solids consist of carbohydrates, especially undigested plant matter. But the biggest part of it is actually still alive: around 50% of the feces consist of bacterial biomass. Meaning that every time you use the toilette you secrete billions of microbes. The rest is composed of proteins and fats. But keep in mind that these ratios are highly dependent on what you eat. Scientist who published in the journal Nature found that constipation is partially caused by your microbiome . To prove this notion they first treated mice with antibiotics to deplete their own microbiome and then re-introduced the microbiome from patients with constipation or from the healthy controls. The researchers found that the gastrointestinal transit time in the mice who received the microbiome from the patients with constipation was much slower compared to the healthy control even though the mice ate the same food. After researchers identified that people with constipation often have a disrupted microbiome, they started to treat constipation with a variety of probiotics. And every single study gave the same result: Probiotics showed beneficial effects and a relief of constipation . There are also pharmacological aids out there that promise a fast relief of the constipation like polyethylene glycol and sorbitol which are freely available and other, stronger ones that require a prescription. However, while this leads a fast to relieve, it is just temporary and doesn’t fight the cause of constipation. As we have seen earlier, about half of the feces consists of microbes. Therefore, the best advice to prevent constipation is to nourish your microbiome - nourish it in form of fiber. 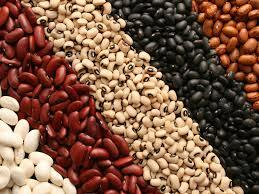 Great constipation preventer are beans and lentils. With more than 10 grams of fiber per cup, they provide an ideal source of soluble fiber. One fruit you might not expect here are kiwis. With 2.5 grams of fiber per Kiwi, they do provide some amount of fiber but not crazy much. Still, in many studies, it was shown that including kiwis in the normal diet could relieve constipation drastically. A group from the kiwi-country – New Zealand - looked into more detail into the biochemistry behind it . They found that kiwis contain proteases that aid the digestion of proteins. Other fruits rich in proteases are for instance pineapple, papayas, and figs. Furthermore, kiwis have high concentrations of a protease called actinidain, which in combination with the fiber the kiwi provides; strongly decreases transit time of the stool. A layer of mucus protects our gut cells and some research indicates that eating kiwi increases mucus production and in turn decreases intestinal permeability. Even though the mechanism behind it is still not clear. Furthermore, ingredients in kiwis have been shown to regulate the immune cells and therefore decrease of inflammatory proteins. And last but not least, the fiber in the kiwi provides an excellent source to nourish good gut bacteria like lactobacilli and bifidobacteria. The next great food to relieve constipation is psyllium husk. Only one tablespoon contains 4 grams of soluble fiber. It also has been shown that psyllium husk can reduce cholesterol , and lower blood glucose levels in patients with diabetes . A magic bullet against constipation that is even more effective than psyllium husk are prunes. One cup of prunes gives you 12 grams of fiber. But that is not what makes them so powerful. Researchers at the University of Iowa tested prunes against psyllium in 40 adults who were constipated . Before the trail, all participants started with an average of just 2 bowel movements per week. Each group received an extra of 6 grams fiber per day – either from prunes or from the psyllium. Both, the dried plum and the psyllium husk increased the number of bowel movements drastically, but the prunes did a little better than the psyllium! Potentially due to the high concentration of the laxative sorbitol in the prunes. Which also explains why prunes juice relieves constipation even though it is deprived of fiber. Besides these power foods for constipation, it is probably the best way to naturally include a lot of fiber in your diet. I haven’t suffered from constipation for years now as my diet constantly improved. For breakfast, I only have a black coffee as Intermittent Fasting suits me very well. As a first meal of the day I like to start with high fiber, high fat, high protein and low carb. A meal could be steamed asian vegetables with lentils in coconut milk spiced with Curcuma and a Greek yogurt with nuts as dessert. Before I head to the gym, I have some fruits like two bananas. And after the gym is when I get most my calories as I really like cooking and eating in the evening. Occasionally, I have a smoothie or protein shake after the gym with a mix of berries and other fruits. A typical dinner could be some burritos with beans, leafy greens, tomatoes, and onions. Topped with self-made guacamole. All wrapped in whole grain tortillas. Every now and then I enjoy as a snack in the evening some self-made popcorn nicely popped in olive oil and flavored with cinnamon which in turn has great health benefits. I eat eggs and fish like 2-3 times a week and meat mostly one time a week, as I try to be conscious about the quality of my animal products and my Ph.D. salary doesn’t allow me to have grass-fed beef every day. However, a normal day provides me with around 55 grams of fiber. I never experience constipation anymore and don’t suffer from any other stomach issues.